Business owners understand just how important every second of the business day is when it comes to turning a profit. Every second you have to wait for a locksmith when you are locked out of your office is costing you money, and that’s why Wisberg and Daughter always arrives within a 20-minute response time. Because all of our professionals come in a fully loaded van with all of the tools they need for any locks, you know that you’ll be back in business in a matter of minutes. With over a decade in business, we’re the commercial locksmith Plainfield businesses have counted on for honest, reliable, dependable services since day one. Who Do Local Businesses Trust For Commercial Locksmith Services In Plainfield NJ? No Plainfield NJ business trusts any locksmith more than Wisberg and Daughter. 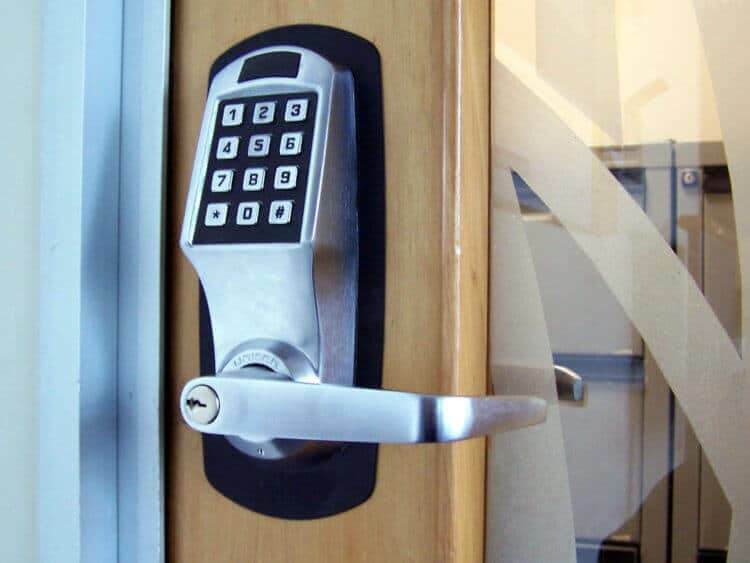 Our commercial locksmith services can handle any need your business might have, whether it be replacing your commercial door locks, installing or replacing a security lock, or anything else. In business, time is money, which is why commercial lockouts can be so frustrating. However, there is no need to fret if you have Wisberg and Daughter in your corner. We’re here for you and your business, rain or shine! There is no locksmith Plainfield local businesses trust more than Wisberg and Daughter. Because we understand that commercial lockouts can cause our customers thousands of dollars in business, we always act fast in order to help them to get their businesses moving again. The best Plainfield locksmith around when it comes to handling commercial lockouts is Wisberg and Daughter, and that’s why we’ve been trusted by local businesses for over 10 years. Never waste money waiting for help when you choose Wisberg and Daughter. Need To Replace Or Upgrade Commercial Door Locks? commercial door locks around in order to prevent any sort of robbery. The commercial locksmith Plainfield companies know will always provide the best commercial door locks is Wisberg and Daughter. When you need a local locksmith to give you the best security that you’ll ever find anywhere, we’re the ones you should turn to. Don’t put your business at risk with cheap locks. Call us today and let us keep you safe and secure! Need To Install A Security Lock? For any business, it is always a good idea to have a high-quality security lock that you can count on to protect your office, store, or storage facility. At Wisberg and Daughter, our locksmith commercial professionals are always equipped with the best locks on the market, and they know how to install them correctly so that they’ll never let you down. Don’t take any risks with your business! Call us today and let us install the best security lock on the market to ensure that you’ll never have to worry about intruders! | High Security Locks | Broken Doorknob | Office Lockout | Business Lockout | Safe / Vault Lockout| And More!